A city break in the US conjures up thoughts of time in the Big Apple; enjoying the warm sun and glorious beaches of Miami; or hoping to win big in the bright lights of Las Vegas. But once you’ve been there, done that and got the “I Heart NY” t-shirt, then we’ve got 10 more fascinating destinations for you to explore on an alternative US city break. Very much overshadowed by New York as a city break destination, this capital city provides visitors with world class museums and a fascinating insight into American democracy and government. Visit the White House and the US Capitol Building; take in the many monuments dotted around the city; and explore the fantastic museums. 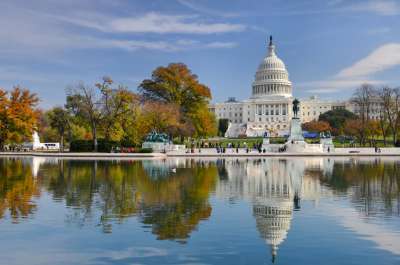 A lot of attractions are free or reasonably priced making a trip to Washington good value. It’s also accessible with direct and convenient flights from both London and Manchester. The Bay Area is a stunning backdrop to one of America’s most iconic cities. 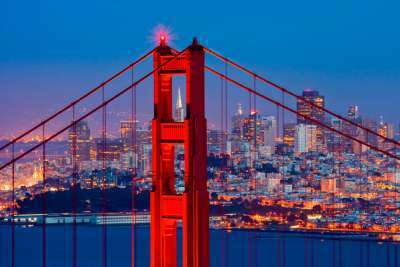 The main tourist attractions are the Golden Gate Bridge, Alcatraz, Fisherman’s Wharf and Chinatown. All are must visits, but we also recommend hanging out in the district of Haight Ashbury, where hippy culture was first born, and strolling through the Japanese Tea Garden in the city’s Golden Gate Park. A ride on San Francisco’s famous cable cars is another to tick off the must do list, and if you are spending a few more days in the area, a wine tasting trip up to Napa Valley makes for an enjoyable afternoon. 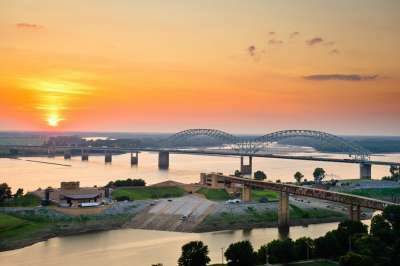 The major draw of Memphis is Graceland, home to Elvis Presley. It’s well worth the trip even if you are not a big fan of the King of Rock n Roll. But this city has a lot more to offer as a US city break: a visit to Sun Studio allows you to stand in the place where so many great songs were recorded. If you are looking for more live music then head down to the bars of the Beale Street district. On a more poignant note, visit the National Civil Rights Museum, located on the site of the former hotel where Martin Luther King Jr was assassinated. 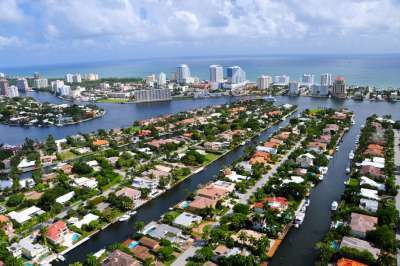 Most don’t go further than Miami when considering a short break in Florida, but just north is Fort Lauderdale and it’s worth looking at as an alternative. 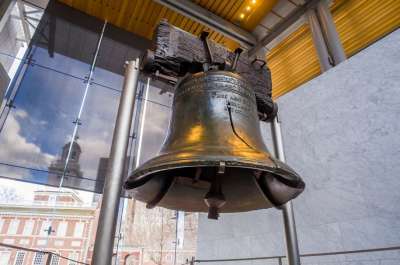 You don’t visit this city for museums, attractions or sites of historic significance. It’s all about the year-round warm weather and relaxing by the pool or beach. There are many hotels to choose from and the city’s close proximity to the major cruise terminal makes it a popular stopover before floating off to the Caribbean. Fort Lauderdale now has direct flights from London Gatwick making it even more accessible for a short break. 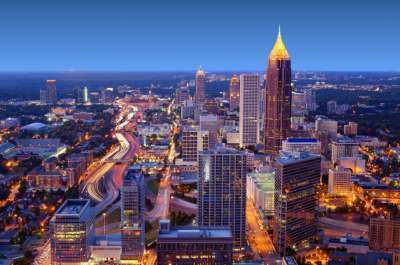 Atlanta is home to Delta Airlines so this US city boasts better connections from the UK than most. It is also home to two American brand icons - you can find out all about them by visiting the World of Coca Cola and taking part in the CNN Studio tour. This area was also Martin Luther King Jr’s boyhood home and the US National Park Service has created a historic site around his home, church and final resting place. 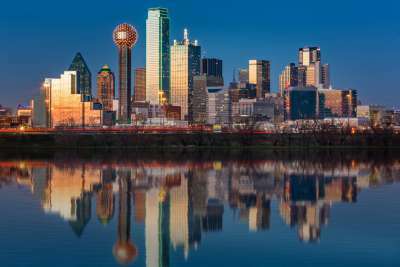 Within popular culture, Dallas is known for the famous TV series based out of Southfork Ranch. Fans of the show can visit the actual farm but be prepared; it is slightly different in real life. Dallas was also the city in which President Kennedy was assassinated in the 1960s. Visit the Sixth Floor Museum to tour what was the old book depository and stand by the grassy knoll to come up with your own theory about what might have happened on that tragic day. We’d suggest you hire a car to get around Dallas. It’s not really public transport friendly and is the best way to see this sprawling city. 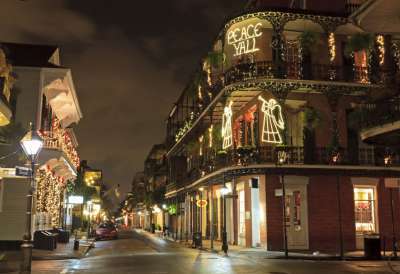 While the best time to visit is for Mardi Gras, New Orleans' French Quarter is alive and partying all year round. Bourbon Street is the most famous area, with bars and quirky shops. Don’t leave without sampling some Jazz or the great regional cuisine. New Orleans is set at the mouth of the Mississippi River, and traditional steamboat cruises are another popular activity. You can’t fly direct to New Orleans from the UK so do check flight times and connections when booking your break to New Orleans. Are we stretching this a bit too far? 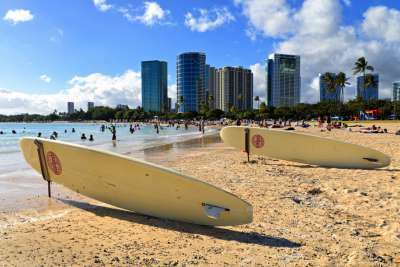 Perhaps, but this Hawaiian city is one of the world’s greatest beach cities with high rise hotels, big waves and gorgeous sands. It takes a while to fly here, usually you go via Los Angeles, so we recommend staying longer than a short three-night break. We do suggest you tour the rest of the island, taking in sights such as Pearl Harbor and the breathtaking views at Diamond Head. Back on the beach you have to surf and in the evening, a traditional Hawaiian luau is a must. They call Nashville the Music City and if you are a country music lover, then this is the place for you. A visit to the Grand Ole Opry is a must alongside the Country Music Hall of Fame, which claims to be the largest popular music museum in the world. If you are looking to hear the next big country star then head to the bars on the Honky Tonk Highway in the Lower Broadway part of downtown Nashville. 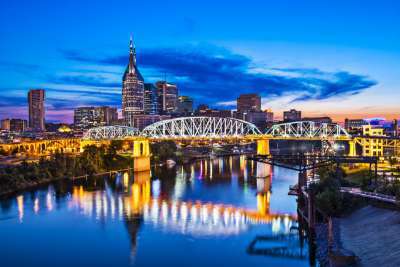 There are no direct flights to Nashville so you will have to fly via another US city to get here, check times and prices to get the best deal for your holiday.